Having the maximum time possible to react to hazards is important and can be the difference between an awkward situation or even an accident and continuing safe driving. 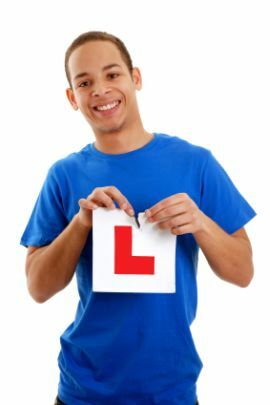 This requires you not to be paranoid or nervous of every situation that occurs as a driver as it is important to drive up confidence as a road user, but rather to be vigilant and be aware of 'what if' and 'what will happen now' and so forth is important. There are a huge range of different hazards that you might encounter, and sometimes these are not what you would expect. You may be used to people not signalling correctly at roundabouts, but what when someone actually their hazard lights flashing? Or how about when an animal suddenly enters the road in front of you. And then there are emergency vehicles to deal with - many people panic when they hear the sirens coming up behind them and in the rush to pull over they don't even look at the road around them and can either hit another vehicle, cause an accident or perhaps hit a pedestrian. Lanes and road markings can also lead to confusion and hazards; there are hotspots where many cars seem to be in the wrong lane and therefore swerve and cut across. If you know that there is a turning ahead then be aware of cars in the outer lane cutting in front of you in order to take the turning if they are still in the wrong lane. And protected lanes can also cause problems and confusion, with taxi or bus lanes for instance on occasion being frequented by other road users too, so always be careful in any situation where there are vehicles changing lanes around you.